IC410 is a large nebula (100 light years across) in the constellation Auriga energized by the bright cluster, NGC 1893, containing hot stars that push away gas, giving the appearance of a "hole", similar to the Rosette Nebula. It is only 12,000 light years away. 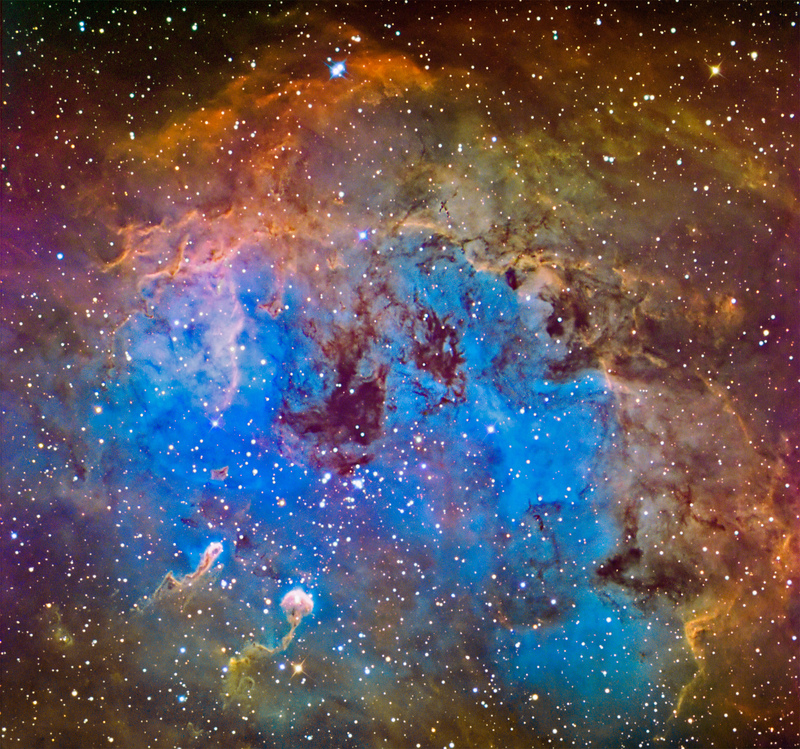 The two objects at the lower right corner are often referred to a "tadpoles", which are regions of cooler, denser gas that resisted the erosive effects of the hot cluster of stars. They are 10 light years long. Narrowband color using the Hubble Palette where Red = SII, Green = H-a and Blue = OIII with RGB stars blended in. The field is about 35 arcmin and north is down.